Time fills days; it's color and light flow continuously from morning to night and back again to morning. How we choose to spend that time transforms those days into our life. This simple and timeless shape is covered in a reflective glass 'skin', with colors that represent a day - yellow at the top (sunrise) moving towards gray blues in the center (evening to night) and back to yellows at the bottom (sunset). 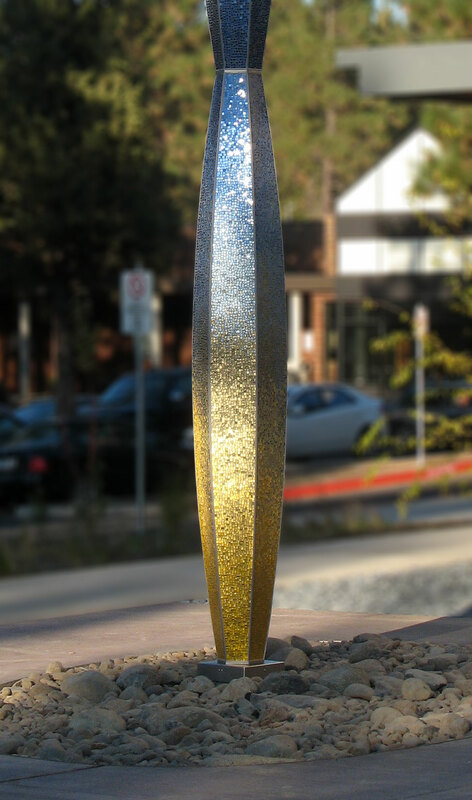 The sculpture reflects the light from the sun, changing as the day progresses.